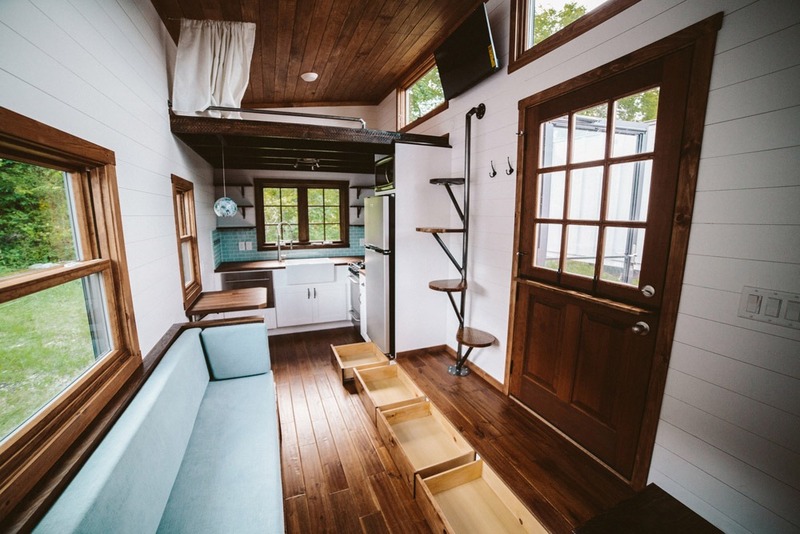 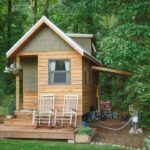 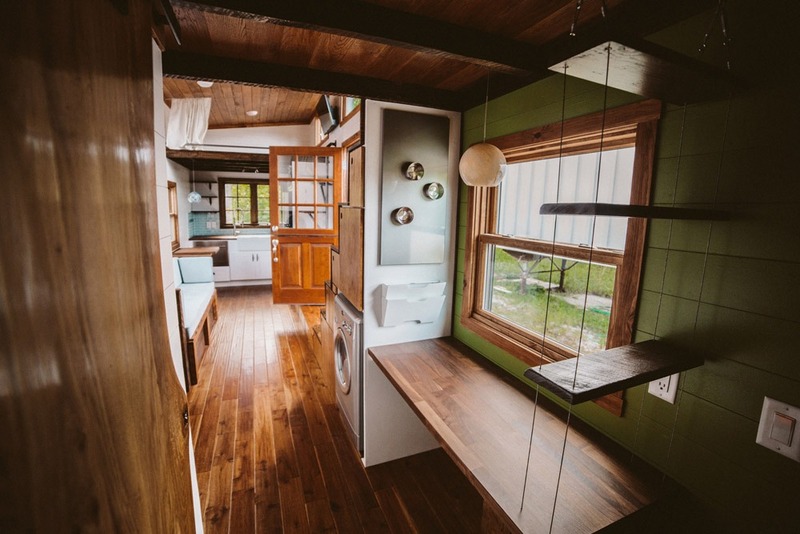 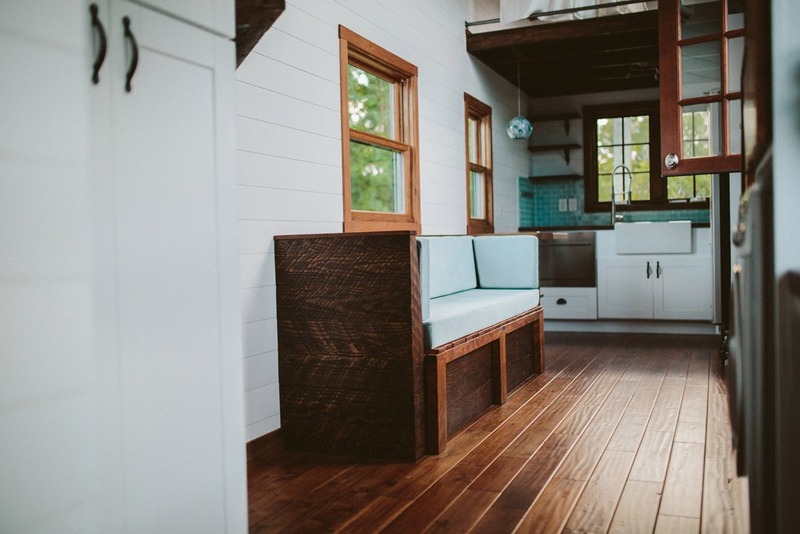 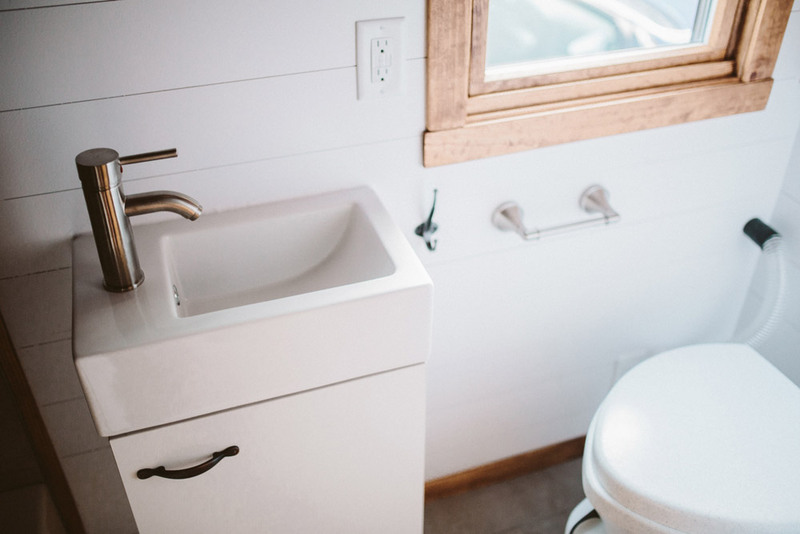 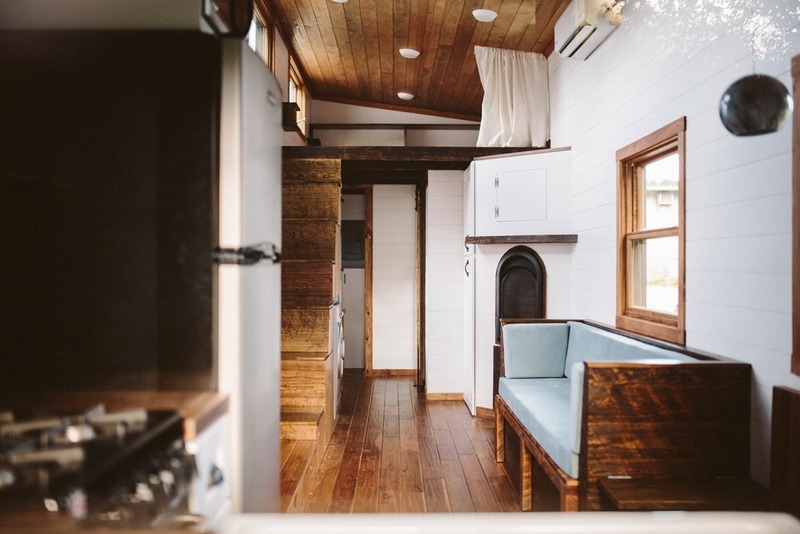 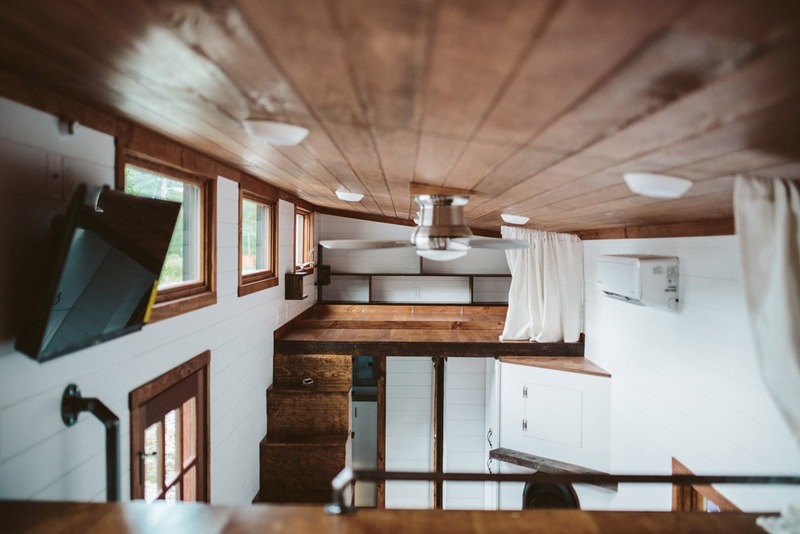 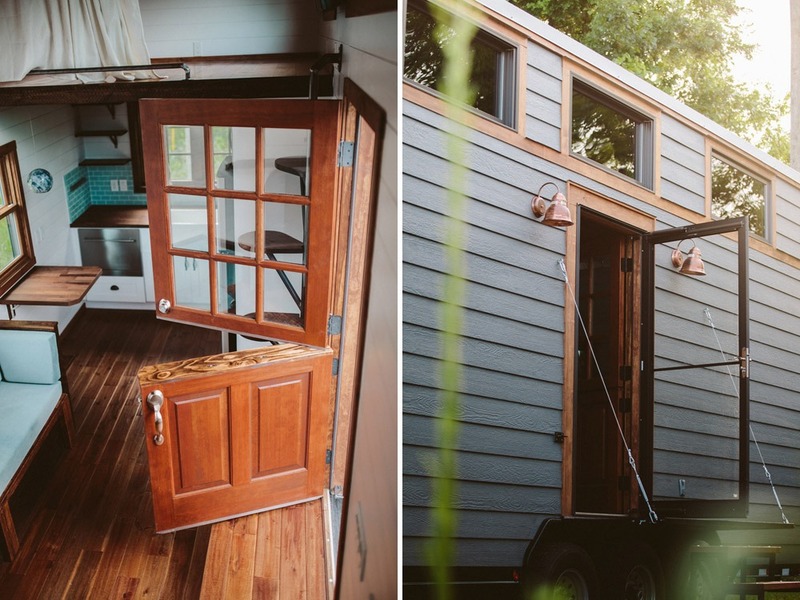 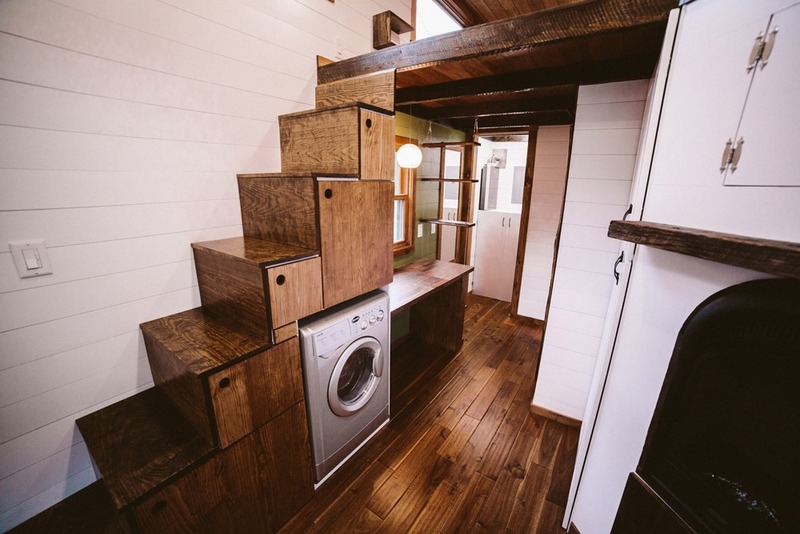 This custom build by Wind River Tiny Homes includes hand-scraped Acacia wood, a dutch door, copper light fixtures, and a built in couch with storage that pulls out to a twin bed. 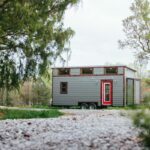 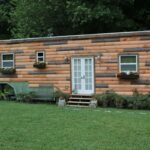 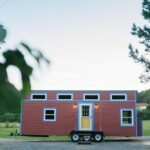 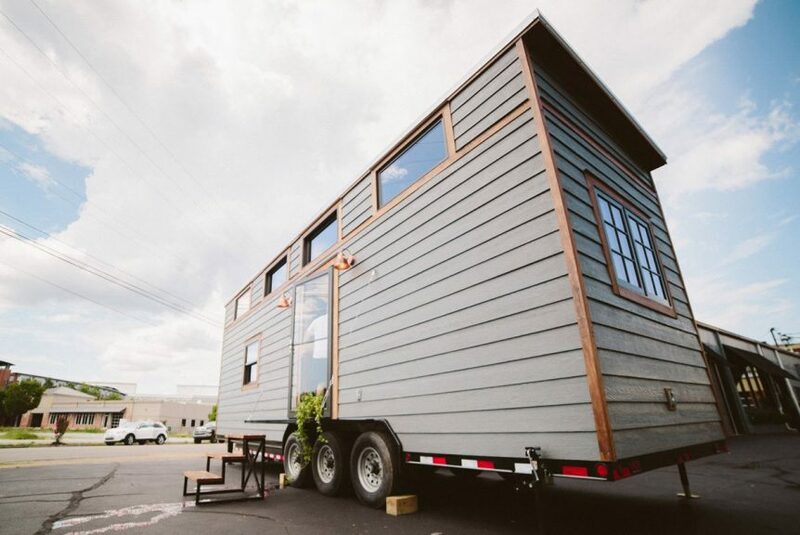 The Mayflower was built on a 30′ trailer and the first floor features a home office with a desk and storage so the owner can run her business from home. 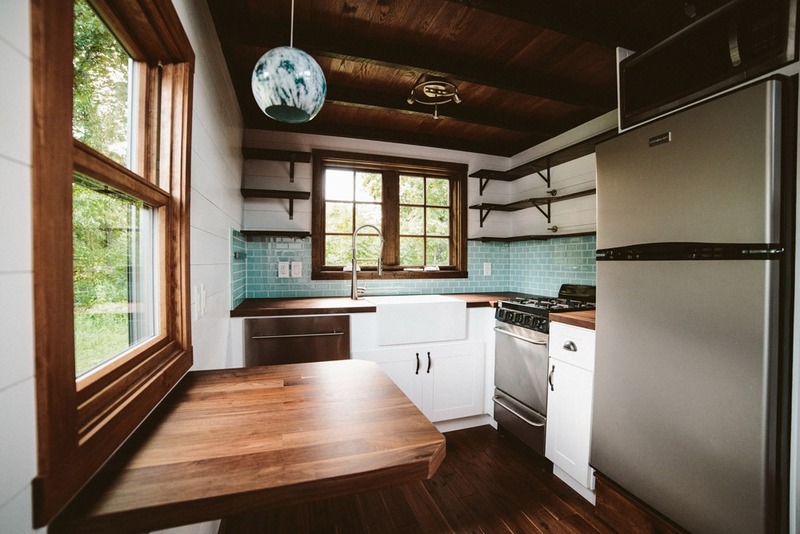 There’s also a full kitchen including dishwasher and range, two loft spaces, and abundant storage throughout the home. 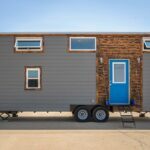 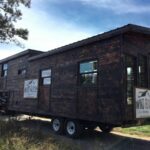 Also available from Wind River Tiny Homes: Noah, Silhouette, Big Whimsy, Ironclad, Monocle, The Phoenix, Nomad’s Nest, Wind River Bungalow, The Triton, The Chimera, The Rook.